Our organization has successfully expanded its business in market owing to the offered elevated quality array of Toilet Paper Parent Roll. 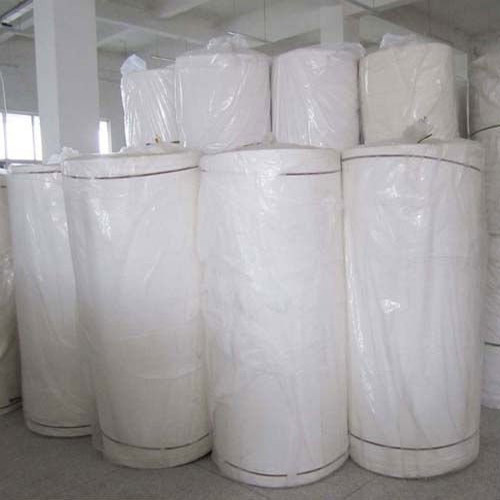 The offered roll is manufactured using superior quality raw material and the latest machines. Moreover, a team of our quality controllers conducts a series of checks on the entire range of roll to assure its quality. In tune with industry standard, we provide this roll in different customized options and industry leading prices. Established in the year 2004, at Secunderabad, (Telangana, India), we “Raja Lakshmi Enterprises” are a prominent manufacturer, trader and supplier of an exclusive range of Tissue Roll, Paper Towel, Toilet Roll, Towel Dispenser, Paper Napkin, Tissue Paper, Paper Glasses, Cleaning Brush, Duster Cloth, Garbage Bin, Garbage Bags, Trash Bags, Cleaning Mop, etc. Our offered products are manufactured with the usage of supreme quality basic material and advanced machines under the stern vigilance of our skilled professionals in adherence with market quality standards. The products provided by us are highly appreciated among our clients for remarkable features such as water resistance, smooth texture, tear resistance and soft finish. Additionally, we provide these products various sizes and other related specifications in order to meet the specific demands of our respected patrons. Clients can purchase these products from us at rock bottom prices with no hassle.